Since the release of their debut EP, “This Weeks Been Hell”, Huddersfield based Knuckle have grown, not only in terms of adding an extra member but with a more cultured style. 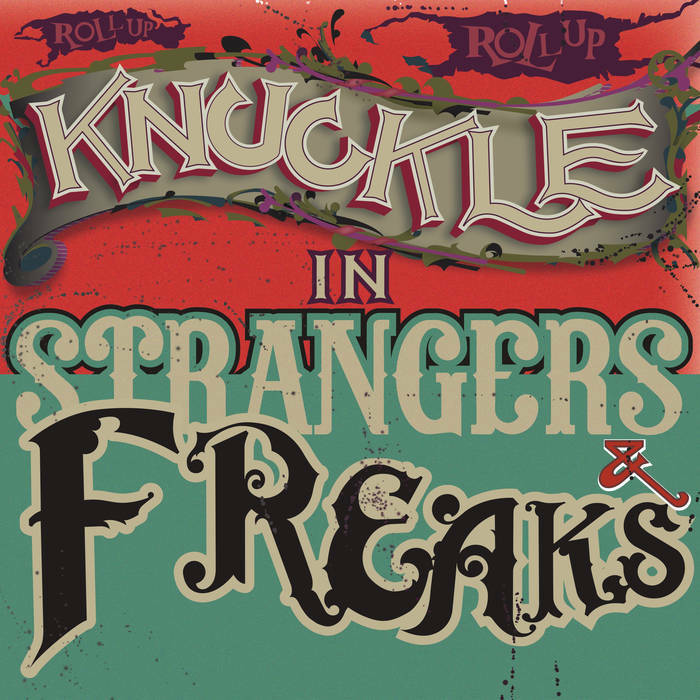 Now a three-piece, with the addition of bassist Rob Crisp, Knuckle have developed their seething blues rock into something not quite as in your face but still equally as menacing. In the past they have been compared to bands like The Black Keys, but from the moment this EP opens with “God’s Freaks” it is clear they are much more suited to comparisons with Them Crooked Vultures. The blistering riffs singer and guitarist Jonny Firth supplies, in perfect sync with Crisp, are easily in the same league as the afore mentioned supergroup. One of the many highlights of this fine EP is third track “My Girlfriend Is A Werewolf”. It features all the elements that I consider to be trademark Knuckle. Firth’s guitar switches from fuzz blues riffs to screeching solos, while his vocals gain in intensity through some tongue-in-cheek lyrics. It also features another huge part of what makes Knuckle such a force, the powerful drumming of Ben Wallbanks. His beats drive and power through the track, complete with plenty of intricate fills. “Baby, I’m A Dickhead” is where Knuckle really show their diversity. It starts off in a moving and tender fashion with Jonny singing a mournful lament before the track explodes into a self deprecating rant. This track really sums up the band, despite their obvious abundance of talent, they don’t take themselves too seriously. With each track, and live performance, there is an audible love for what they are doing, they are clearly enjoying themselves and long may it last. “Strangers and Freaks” is available now from Bandcamp and on vinyl.